Do you have any shrimp available? Any advice on breeding german blue rams? Hi, I'm new and also in georgia. 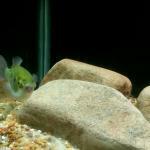 I'm looking for angelfish and saw one of your post. Do you have any available? Just curious, do you still sell fish? Ah, rats! I got my days mixed up. Happy belated birthday!! What is the best way to do a sell? Should I wait to receive a payment from a purchaser before sending them the item? Is it merely up to the agreement of the 2 parties? I suppose money orders are best. I may even want to validate money orders. I have been burned once by fraudulent postal money orders that looked exactly like the real thing! There is a phone no. to validate them. have you shipped to canada before?